What followed was a commitment by Irene and her then second husband to sponsoring children from around the world and embarking on short-term missions’ trips. But it was a visit to Ethiopia in 1988 to meet their sponsored children that would be the turning point. In February 1992, Irene and her husband sold up everything, waved goodbye to family and friends and shipped their modest aluminium caravan 12,000 kms from the warm, white sands of Australia to the red, dust of Uganda. In a small isolated community on the Sudan border, the couple began their work of rescuing and rehabilitating child soldiers and orphans. Irene taught the children to sing and then to read and write – eventually adding feeding, education and medical care to her repertoire. While the work continued to grow and flourish, her relationship didn’t, and before long, she found herself alone – yet again. Irene forged ahead despite the hardships – extreme isolation, swelteringly hot days, repeated bouts of malaria and several attacks by rebels. Hand in hand with Jesus, she carved out a global organisation that has left an indelible imprint on the hearts and lives of 20,000 war affected Ugandans. Heart of a Lioness will take readers on Irene’s journey of obedience, sacrifice and unwavering faith. A moving narrative filled with drama, humour and deeply personal insights, Irene recounts story after story of God’s miracles amidst the frustrations of running a ministry as an older single white woman. The book will challenge and inspire readers to find their mission in life and will reinforce the notion that no matter who you are, or where you’ve been – it’s never too late to find your purpose. Ideal for small groups, foundations classes and Bible schools, this 12 x 30 minute DVD sessions plus 56-page study guide booklet help establish your heart on God’s rock solid foundations. The most important part of a building is the part you cannot see – the foundations. Although they are invisible to the naked eye, their strength is revealed in a time of storm. It’s like that in the Christian life. We may have to weather storms from time to time, but if we build on rock solid foundations our house will stand. Paul referred to ‘a pattern of sound words.’ These ‘sound words’ reflect the major truths of the Christian faith. They include: righteousness, our identity in Christ, grace, faith, new creation, sons of God, new covenant, the new man, the love of God, eternal life, and such. In the vacuum of the absence of the apostle’s doctrine many Christians have become a product of a religious environment. We were raised on man-made teachings such as commitment, paying the price, pressing in, breaking through, four steps to…, vision, revival, deliverance, impartation, breaking curses, recommitment and such…words not taught anywhere in the New Testament epistles, that bring the focus on us and what we need to do. In contrast, the pattern of the sound words of the apostles helps us to keep our eyes on Jesus and the finished work of the cross. 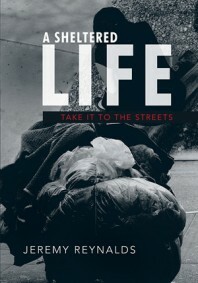 Orders: http://kenlegg.com.au/resource-centre/dvd-cd/ See also Inspirational article. 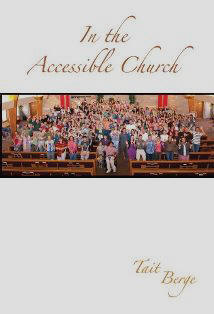 In the Accessible Church is an excellent book that encourages church leaders who believe the Lord loves people with disabilities, but might not be aware people with disabilities have so much to offer. Tait Berge’s sharing of his experience encourages and teaches churches how to incorporate people with disabilities into the workings of church. It is important for people with disabilities to serve and not just be served. See also Opinion article and last month’s Impact.